Hey guys, a quick guide for you here on the subject of when to buy or not buy Kevlar (+ Helm) in competitive play. I saw a post on reddit on the subject and thought I’d summarize the views expressed and also give you my two cents. Armour is expensive, you will only be able to afford a vest on the first round with only a small amount of money left over and on ‘buy rounds’ you will be blowing $1000 each time. So is it worth it? What does it actually do? - Kevlar reduces your damage taken from bullets and grenades. - Has no impact on your movement speed (unlike some other games). - There is visually no difference to your character, therefore you cannot tell if someone is wearing armour just by looking. So as you can see there are no real disadvantages to wearing the stuff, so obviously if you can afford to buy armour with a weapon then do so! Should I ever buy armour without a weapon? Probably not, no. 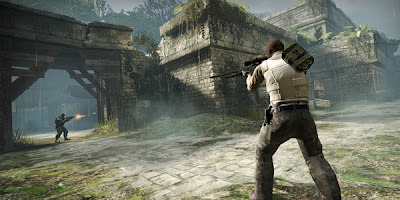 Having a weapon is far more important than armour as Counter-Strike is a tactical game where you are often in situations where you can fire upon an enemy without taking fire yourself (flanking/blind enemy/…). There are very rare situations where you might buy armour and a weaker weapon, including pistols, such as on a forced buy round. This can sometimes be useful if most of your team has guns because you can take a weapon from an enemy or teammate, whereas you cannot pick up armour. Should I bother with a helmet? Ok, so Kevlar alone costs $650 and Kevlar + Helmet costs $1000. Is a helmet always worth the extra $350? Short answer – yes. But let’s look at some stats. What are the differences between the two items? - A Kevlar Vest bought with or without a Helm reduces damage done to the chest, stomachand arms by the exact same amount( I will put a table below with the exact values for those interested). - A Helmet will add this bonus to the hitbox of the head. Headshots are important in Counter-Strike, a headshot will always do significantly increased damage. Many of the weapons in the game will kill you in one shot to the head at close-medium range. Some of these weapons are also fairly accurate, meaning that your chances of getting killed by one bullet are fairly high. Buying a helmet greatly reduces this threat by lowering the number of weapons that have this ability to just a handful (These being sniper rifles, desert eagle, close-range shotguns and of course the dreaded ak47!). Should I rebuy armour each round? Even if I survive with armour equipped? Buying Kevlar will always cost you $650, regardless of whether you have Kevlar equipped with a Helmet or not, and is not dependent on how much armour you have remaining. This means it costs the same whether you have 10 armour left, or 90. However, buying a Helmet will only cost you $350 as long as you have 100 armour, meaning that it would cost you the same as having bought them both together, but will cost you $1000 if you have less than 100 armour. The interesting thing to note about your remaining armour value is that it will provide the same protection from 1-100. As long as you have some armour it will reduce incoming damage by the same amount. So, then is it worth buying it every time – even if you have 10 left!? It’s important in Counter-Strike to have a good understanding of the economy system and in particular knowledge of the enemies economy. If you can be fairly certain the enemy team are low on cash and unlikely to be able to buy powerful weapons (i.e. pistol buy) then armour is not going to be as much as a priority. However, the pistols in Global Offensive are far more powerful than they used to be and so are the cheap shotguns/smgs so it’s hard to say whether the risk is worth saving the cash. What you need to consider is how much armour damage you are likely to receive in the coming round. As far as I know, from looking at a few sources on the subject your armour value is reduced based on the damage that you would have received without armour. You can work this out using the table below. Take away the percentage of damage reduction from the weapon doing the damage and remove that number from your armour rating. For example, let’s look at the AK47. A shot to the chest on an unarmoured opponent does approx. 35 damage. The armour penetration for the ak is 22.5% which means that a shot that would have otherwise done 35 damage would only do about 27. Therefore the opponents armour would be reduced by 8. This should give you a rough idea of how much armour you are likely to lose in a round. Going by these numbers; in the example of the ak, 4 shots to the chest would kill you but would have reduced your armour by only 32. 3 shots would leave you with 19hp and only remove 24 points of armour. In this example it would be pointless for you to buy armour if you had more than around 25-30 points remaining. Obviously you need to consider all weapons, particularly HE grenades as they damage armour significantly (40%) and do high damage (upto 90+). A single HE could remove ~50 health and ~40 armour leaving you rather vulnerable if you started the round with less. Conclusion: A general ‘rule of thumb’ is to always buy Kevlar and Helmet, if you can afford it and a weapon, and if you have less than 40-50 armour remaining.